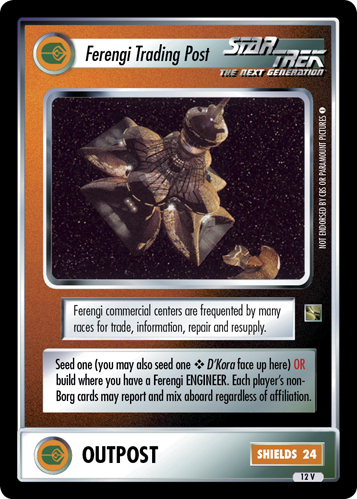 Ferengi commercial centers are frequented by many races for trade, information, repair and resupply. 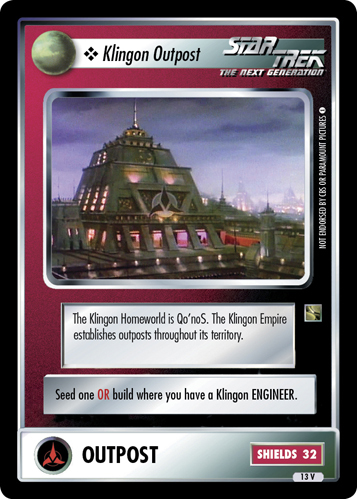 Seed one (you may also seed one ❖ D'Kora face up here) OR build where you have a Ferengi ENGINEER. 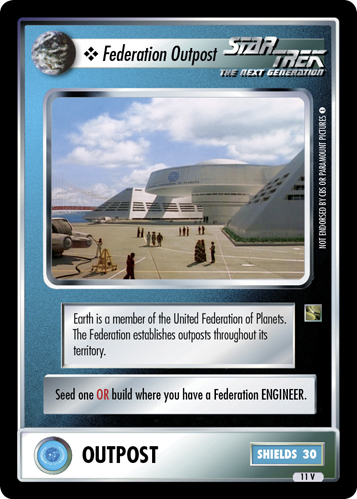 Each player's non-Borg cards may report and mix aboard regardless of affiliation.